Doctor Brown is a native Californian, growing up in the Central Valley. He received his Bachelors and Masters in Biophysics from UC Berkeley. He attended medical school at UC Davis School of Medicine and he did his Internal Medicine residency at St Mary Medical Center. His GI Fellowship was done at Harbor-UCLA Medical Center where he also carried out research in Colitis models. After fellowship, he moved to Chicago to serve as Senior Director of GI Clinical Research at GD Searle Pharmaceuticals. He obtained his MBA at Kellogg School of Business, while he continued GI practice as a University of Illinois clinical faculty member. Missing his California home, he joined a multispecialty group in Visalia. He later served as President of the 24 doctor group before going into solo GI practice. 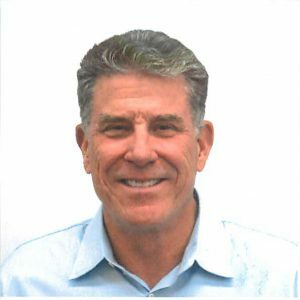 He also served as the Medical Director of Endoscopic Services at Kaweah Delta Medical Center. He is a board-certified in gastroenterology and a member of the American Gastroenterology Association. This information is intended only to provide general guidance. It does not provide definitive medical advice. It is very important that you consult your doctor about your specific condition and/ or your specific preparation for procedure.